The Swiss franc experienced a “flash crash” today, falling sharply at the start of the trading session but reversing losses almost immediately afterwards. 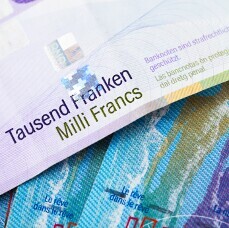 The worse-than-expected drop of the Swiss Consumer Price Index had limited impact on the currency. Switzerland’s Federal Statistical Office reported that the CPI fell 0.3% in January from the previous month, the same as in December. Analysts had expected a smaller decrease of 0.2%. Year-over-year, the index rose 0.6%. USD/CHF traded at about 1.0038 as of 13:17 GMT today after opening at 1.0004 and surging to the high of 1.0098 at the start of Monday’s trading. CHF/JPY rebounded to 109.84 following the slump from 109.68 to 108.69.